Table 9: hard working, uncomplaining! Day 2 of the International Wine Challenge, and it was a big one. The team I was working with tasted 160 wines today. A lot by any standard, and by the end we couldn’t have done many more and still have done a good job. This is week 1, where we have to decide just medal or not; in week two, where we assign medals, we couldn’t comfortably do more than half this number in a day. We had four flights of Malbec today, which is appropriate, because it is World Malbec Day today. (Every variety and region and cause seems to have its own day, now.) Three were from Argentina: Salta was weak, but Mendoza and Patagonia were really strong. The final flight was from the south of France but not Cahors, and struggled a bit. On returning home I opened up a rather unusual bottle. It’s a Malbec made by English winery Chapel Down from grapes that had been flown over from Argentina. It’s a really interesting project, as well as being a good publicity stunt. We did this project for fun . Not to see if importing air-freighted fruit was a good idea, or to test the boundaries of the labelling legislation, and not as a diplomacy exercise around the Falklands/Malvinas. I’m no Henry Kissinger. 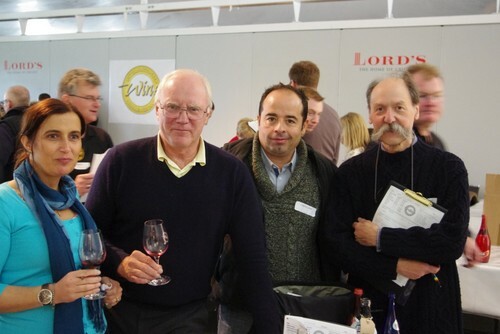 We did it because we love wine, enjoy Malbec, and we revel in the company of passionate winemakers where ideas and energy can flow….What we have done is applied some Englishness to the winemaking. It was done in a cooler environment. We didn’t pump over at anything like the levels we saw, and we sought to get a herbiness, rather than jamminess, to the wine which we like. We part oak aged and blended to get the balance right. The wine is young, but we like it. Total production was 1300 bottles, which couldn’t be sold. 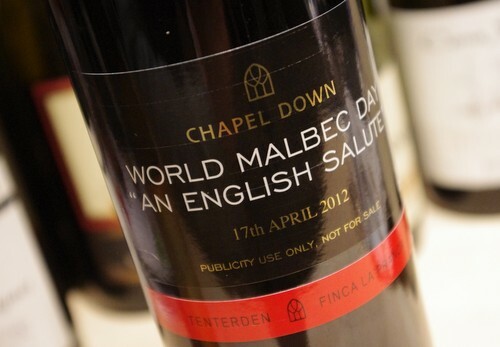 The only way you can get hold of it is by buying some other Chapel Down wines. So how do you measure “a good job”? I find it easy to believe that most of the Argie Malbecs were “better” than some of the Southern French wines. However, assuming the latter were a bit less showy, I’m just wondering if the panel’s results would have been different had these two countries been tasted in reverse order? (as you imply you were on the limit of palate fatigue). Is it possible that the fleshier, riper Argentine wines overpowered the French ones and left them looking a bit weak in comparison? This is kind of my problem with mass tastings, no matter how professionally run and no matter what level the tasters, I can’t help wondering if that shy, wallflower of a wine, hiding in there at no. 59, would have it’s day in the sun, if judged in isolation. But then I think you said some other top judge takes another look at all the rejects, so maybe it’s as good as we can expect.